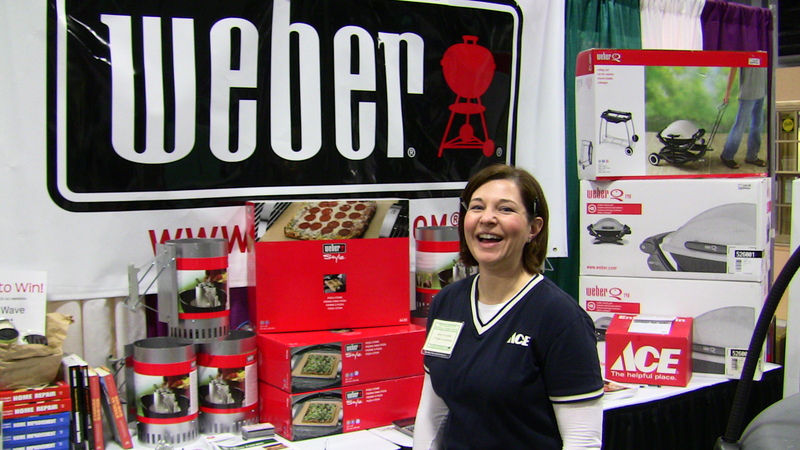 Gina Schaefer, owner, A Few Cool Hardware Stores. She smiles. A lot. I’ve been mulling over a couple of things related to customer service and human interaction over the past several weeks. It started when I smiled at a couple on the street as I was coming out of the garage where Marc and I park our car. I smiled, made a right to continue walking to our condo and all of a sudden heard a woman saying, “Excuse me, excuse me”. When I turned around, it was the young woman I had smiled at. She said, “That was so nice of you to smile at us, no one does that anymore.” I was shocked. I’m from the Midwest, so smiling comes so naturally to me that I probably always walk around downtown with a grin on my face. Two days ago, I met with a friend and local business owner who said that I had “created a monster” because, for seven years now, we have trained our customers to expect the best service possible –treating people well, whether you’re passing them on the street or helping them find the right drill, is fundamental. And when they don’t receive what they’ve come to expect, they get very angry with us and hold it against us. Fast forward 24 hours: I received an email from an upset customer, who professed to having a great experience at one of our stores, which was unfortunately followed up by a negative experience. He finished his email by saying that he and his friends would never shop with us again. Boom. Done and done. Just like that. No chance to make things right. Which is confounding, because it makes me think of Home Depot, a business that is notorious for their below-average customer service. But people accept that about them and are willingly to shop there anyway. It’s frustrating to be black balled by a customer for one negative interaction knowing he’ll probably head to a Big Box competitor where he’ll be lucky to find someone to simply point him down the right aisle. A very good lesson in what my friend said earlier about customer service expectations. Finally, another 24 hours pass and I find out that our stores were used in a training session for another local business. The business owner explained to his managers and team members that if they wanted to practice good customer service, they should visit one of A Few Cool Hardware Stores. Just some musings here. Some days we lose, but some days we win big. And that’s OK.
A Few Cool Hardware Stores owner Gina Schaefer shows us again how easy it is to maintain and improve upon your home. This time it’s getting cleaner water.